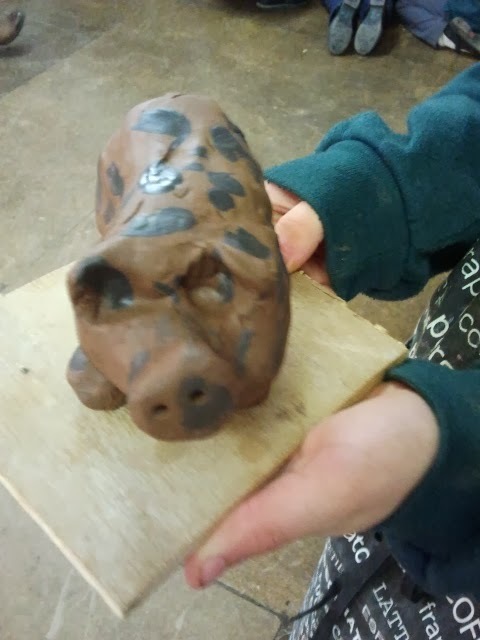 I have a friend who teaches pottery and so we have been incorporating a pottery session into our programme over the last few years. We usually alternate between animals and tiles and this year we were making animals. 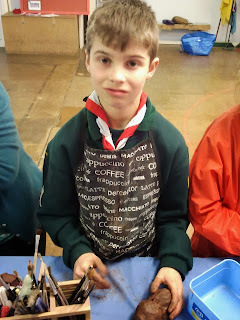 To help the Cubs there were a selection of plastic animals for them to copy and to give them an idea of size. The Cubs all really enjoyed it and they made a wide variety of animals, there were sheep, snakes, dragons and Luke made a pig. 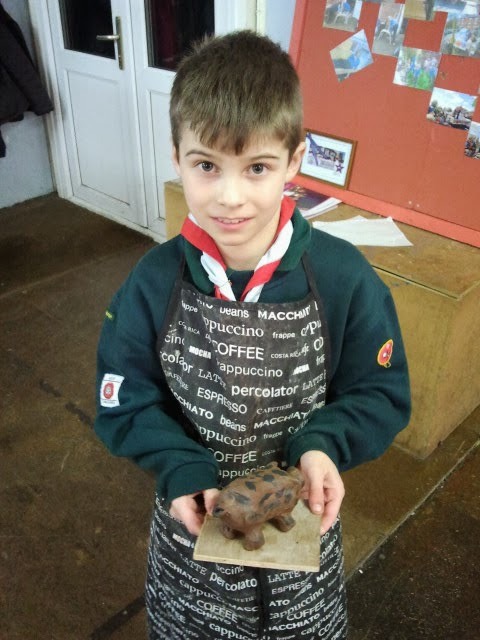 One of our young helpers had made a cow when he was in Cubs and he brought this to show the Cubs. He decided that he would make another cow as he wanted to improve a couple of features. Luke decided to make a pig and I think he has made a really good job of it. The animals have all been taken away to be fired in the kiln and I am looking forward to seeing the finished pots.